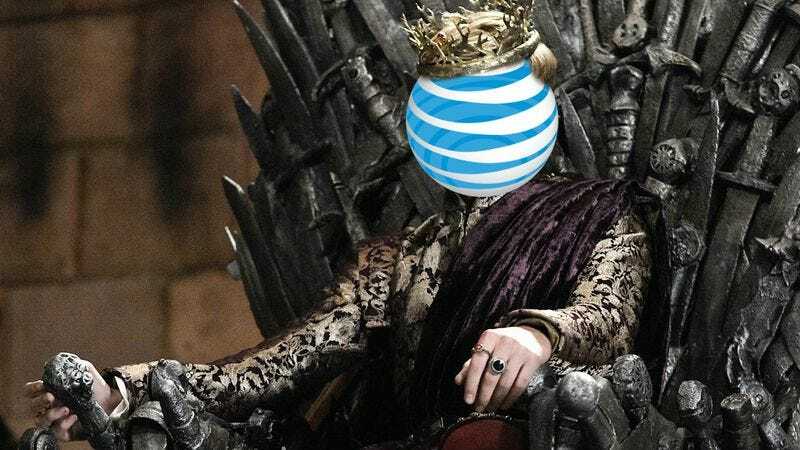 AT&T buys Time Warner for $85 billion, giving it HBO, CNN, and Warner Bros.
All hail AT&T, first of its name, king of the Andals and the First Men, lord of the Seven Kingdoms, and protector of the realm. As reported by The Wall Street Journal (via The Verge), AT&T has just reached a deal to buy Time Warner for $85.4 billion dollars, with AT&T itself confirming the acquisition in a lengthy post on its site. This all means that AT&T has transformed itself from a telecommunications company into a media empire in one fell swoop, because it now controls all of the big entertainment brands owned by Time Warner. These include CNN, HBO, and Warner Bros.—which happens to own DC Comics. In other words, we can now start blaming AT&T when the DC movies are bad instead of just Time Warner. For those who don’t follow the slightly unsettling world of giant corporate mergers too closely, it’s probably important to point out that the Time Warner being bought by AT&T is a separate entity from the the Time Warner Cable that recently got bought by Charter and will soon be known as Spectrum—slogan: “A new cable company that is definitely not the previous one that you hated!”—so at least this isn’t another one of those terrifying cable company mergers. Not that this won’t be terrifying in its own right, though. As the Verge story points out, this deal opens the door for AT&T to possibly give preferential treatment to the Time Warner companies it will now own by making their streaming content exempt from the data caps that other companies are subjected to—a violation of net neutrality. Thankfully, “insiders familiar with deal” believe that there will be “rigorous regulatory scrutiny,” because we can always count on the government to keep us safe from corporate scheming.